Situated in Cam Thanh Township, Hoi An City, Quang Nam Province, about 3km southeast of Hoi An Ancient Town, the Bay Mau coconut forest is a famous attraction in Vietnam. Spanning more than seven acres, the forest of water coconut palms has a unique history. During the French Resistance, and the American War, this mangrove forest served as the base for the revolutionists, and witnessed many important historical events by its people. Despites the wars, the Bay Mau coconut forest still flourishes. Travelers can paddle their ways through the forest and admire endless views of the green coconut forest. Here, guests can see little huts with roofs made of coconut leaves scattered on both sides of the canals. Most importantly, the forest is home to many indigenous wildlife, including various species of fish and native birds because of the pristine condition of the forest. For many Quang Nam natives, the forest is sometimes referred to as “The Little Mekong” in Hoi An. 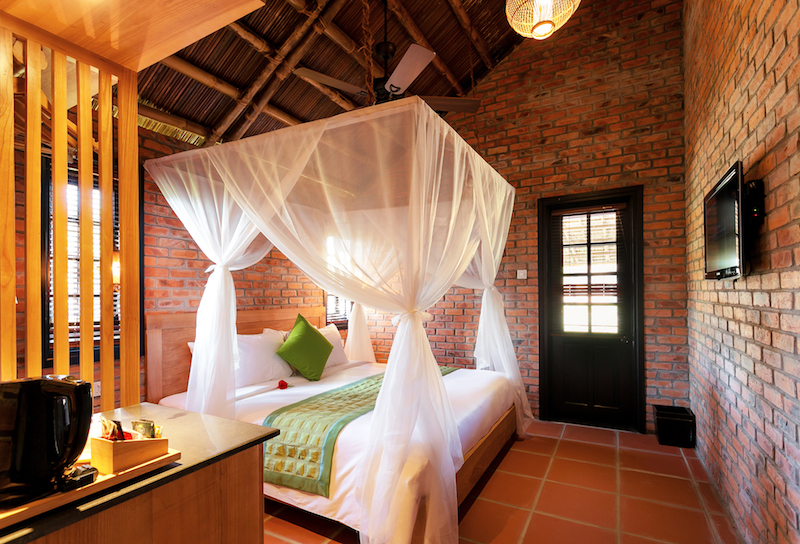 Four-star Boutique Cam Thanh Resort in Bay Mau coconut forest was inspired by traditional Vietnamese villages, with features such as red tiles, bamboo rafters and coconut-leaf roofs. All 40 rooms and villas are situated in three distinctive areas, each with their own swimming pool. At the villa’s gate, guests will be charmed by the green orchards garden and the unobstructed view overlooking the cool clear water of the pool. Designed to reflect traditional Vietnamese architecture and to be eco- friendly, each guestroom is conveniently equipped with modern amenities to meet the expectations of travelers from all over the world. Guests can wind-down at Ngon Café or listen to ambient music at Nón Bar while enjoying tropical cocktails and comfort foods with unparalleled views of green coconut palms along the waterway. The Lúa Restaurant can host up to 200 guests, and features authentic Quang Nam and Vietnamese cuisines with a touch of Western delicacy. Nestled among the water coconut forest, the Dừa Spa is a little gem for those who seek pampering experiences from the region’s top masseuses. In addition, the resort has a public exhibition area that will walk guests through the rich history and culture of the Cam Thanh region. To provide guests at Boutique Cam Thanh Resort with the best cultural experiences in the region, ten bungalow boutique shops will be offering Quang Nam and Hoi An’s handicrafts and products right to guests’ doorsteps with local gifts such as silks, lanterns, potteries, hand-woven baskets, hand-embroidered arts, and more. The resort’s organic vegetables garden is always open for guests who would like to get their hands on some gardening and harvesting of the region’s specialty vegetables. Specially-built for private excursions, the resort’s basket boat can host up to 4 people including the local paddler, who will be taking guests on a fantastic journey through the water coconut forest. Exciting activities await, such as fishing and watching boat basket dancing. Souvenirs and gifts such as rings, necklaces, roses or hats made from coconut leaves by the paddlers will also be available for purchase. 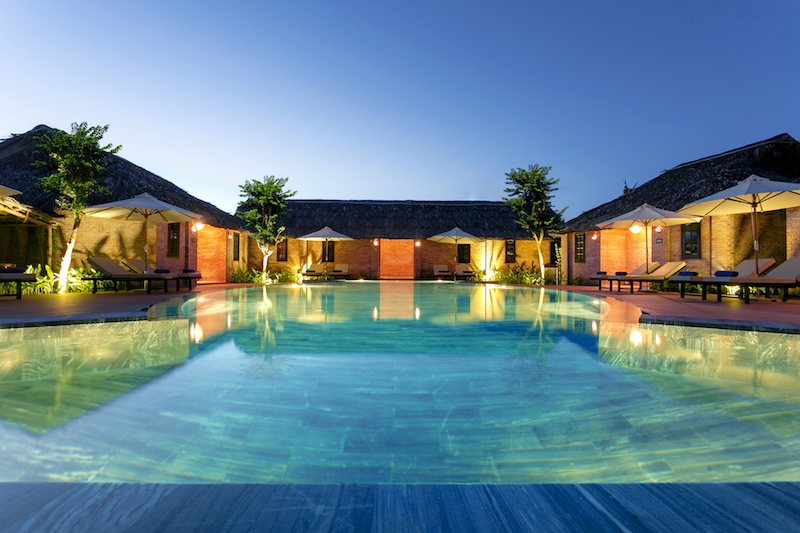 The serene An Bang beach is only a short 3-km drive from Boutique Cam Thanh Resort. With shuttle bus services, guests can simply hop on and get off to the tropical sun, white sand anytime they want. 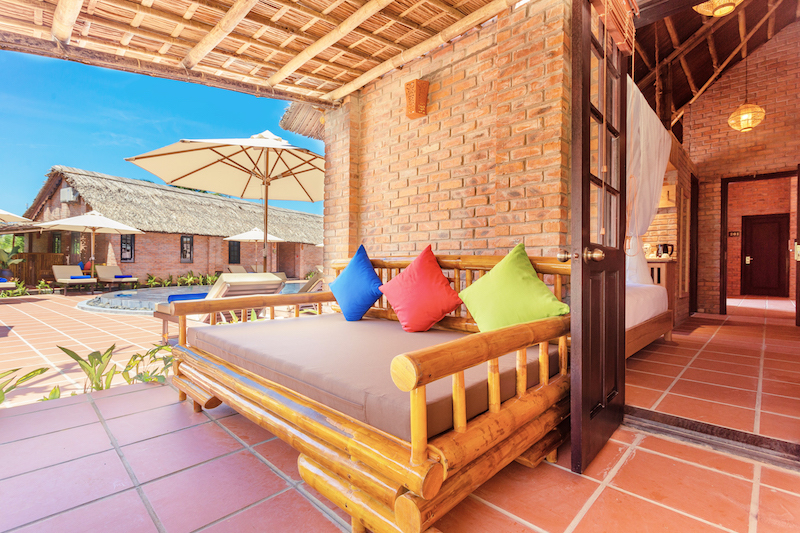 Not only that, the Hoi An Ancient Town, Tra Que Vegetables Village, and Thanh Ha Pottery Village are all within reach of Boutique Cam Thanh Resort’s shuttle buses. “This place was once a historical site. 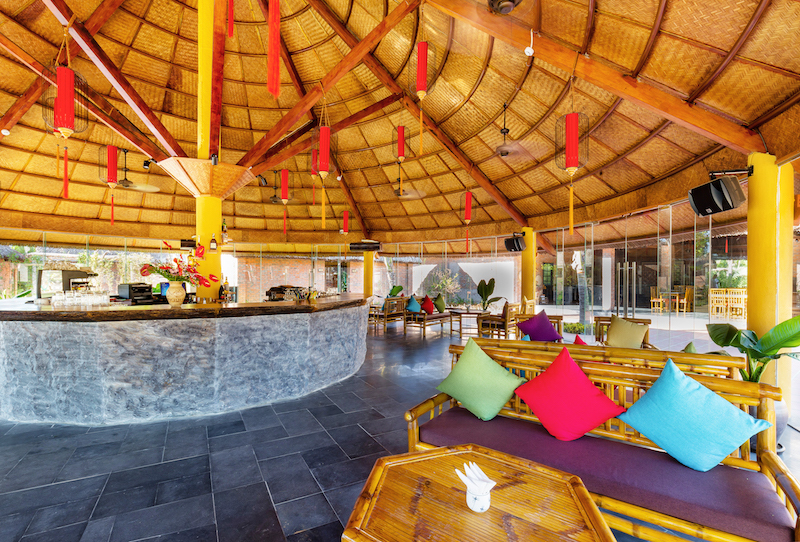 As it becomes a tourist destination for local culture discovery tours, Bay Mau coconut forest will bring guests into a different realm, leaving behind all the hustle and bustle of a busy life,” says Mr. Tang Kim Tan, General Manager of Boutique Cam Thanh Resort. “We are delighted to have a place that resembles your dear home with traditional eco-friendly features and modern 4-star facilities, inviting you to a unique getaway experience from your present day life. To celebrate its grand opening, Boutique Cam Thanh Resort has a promotion from now until the end of December 2017: 30% discount on accommodations with free set menu per room per night. Stay 3 nights, pay 2 nights, free set menu per room per stay. For more info, visit boutiquecamthanhresort.com, call +84 (0) 235 3947999 or email: reservation@boutiquecamthanhresort.com.